You have no favorite boards. The most replied to topics. Participating Communities: UNC Basketball - Premium and UNC Basketball. Very excited to watch his development. I think it’s harder for a coach to teach aggressiveness, especially with limited time. But it’s much easier to learn it from your teammates. Not sure you could have two better guys coming in to demonstrate aggressiveness and work ethic. I've watched Rechon play a lot this past season, he will surprise most of you! Said it before, but one thing I really like about Rechon is that he's already learned how to play in a complementary role by being high school teammates with RJ Barrett as a junior and Wendell Moore as a senior. Not going to have the same adjustment that most recruits of his caliber do, where they have to get used to not being the #1 option for the first time in their lives. He's a tremendous recruit for us--every bit as valuable as Coby White. As a junior and senior against the degraded field he's going to be an absolute stud--as in All-ACC or even national AA, right when we'll be needing one. You take him, Platek, Francis, and those matured big men and you're already talking about the core of a top ten team, if not a top five team. Roy, as always, has our future in fantastic shape--and it's been that way for over a year already. Now he's recruiting for a FF or national championship in those years. I can’t wait to watch him develop. He will be very good in our system. Agree with you... though just to be clear, I was not questioning his work ethic. I have not heard anything to call his work ethic into question... just his aggressiveness on the offensive end. I always thought Meeks would never truly reach his potential because he just didn’t have a mean streak. Thankfully, I was wrong. Another example that has apparently been quickly forgotten: Brice Johnson. Didn’t think you were questioning overall work ethic at all. Nothing I’ve read or heard about him suggests that’s an issue. But getting more aggressive is something that will take work and is something I think his two fellow freshmen teammates can teach. I also believe that he can teach Little and White his nature to focus on team above self. It’s why I think this class is exceptionally balanced as a group. Haha - I love that. CP3 looked like a regular fan with his reaction. I've been pumped for Leaky since he committed. I definitely feel like his opportunities will probably be a little limited this year, but Coach Williams has shown that can change if a player deserves it. I have to believe that he'll be a pretty darn good ball player for us for a few years though. That basically read like a puff piece - a coach is hyping up his player. There's nothing wrong with that, but folks shouldn't take everything at face value. A lot of it doesn't jibe with his HS and AAU performance, with scouts' consensus, or with how modern ("positionless", but that phrase is overused) basketball really works. You don't need EVERY kid to be aggressive. Some guys will have to learn how to work in a secondary role, especially coming in as a freshman. Plus, for the 2018-19 season UNC will have PLENTY of guys who can take shots. He'll get to grow and get stronger. Look for his real contributions at the end of his sophomore and beginning of his junior season. You're going to do this again? Please stop. We provide the takes from all sides. Highly recommend the Rob scouting video: https://247sports.com/college/north-carolina/Article/North-Carolina-Tar-Heels-Basketball-Recruiting-ICTV-Rechon-Black-Scouting-Report-117076089 - and Rob's final scouting report on Black will be out later this month. If he's a willing defender he'll get time on the court. I think Roy's offense is toughest on point guards because they have so much to learn on the offensive end of the court. The rest of the team can get PT by working like crazy on defense. But to be the PG in Roy's system you absolutely have to be fully committed on both ends of the court. That's why I don't expect a ton from Leaky this year, but I hope he's a sponge as his frame and mindset make him unique. If he can move his feet on defense, he can be an asset to the team immediately. With his length, he can be a disruptor in the passing lanes and a difference maker on close outs. I think that’ll be his fastest route to playing time. He’ll be competing with Woods for the backup point guard minutes or more likely with Platek and Robinson for backup wing minutes. Sorry if that came off as a criticism of IC - it wasn't. Commentary from a player's coach is great content. I just don't think folks should take his comments at face value lest they be disappointed in how Leaky actually plays. Unreasonable expectations lead to unreasonable criticism. But a lot of those folks he's 'behind' won't exist anymore in two years. He'll almost instantaneously become one of the best players in college basketball as a junior. To me aggressiveness is all about confidence. Kids who develop confidence in time can REALLY surprise you. Not sure he has it yet, but if he shows great work ethic it may come. So this seems a situation with upside only. And Roy may be the coach for this young man. “Some” others would NOT be. Locked topic. No more replies can be posted. 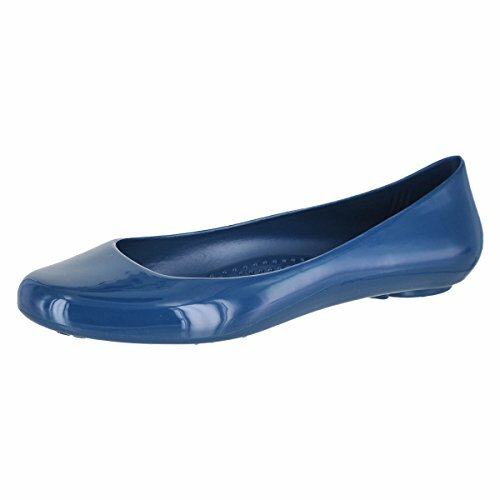 Non-slip sole with ergonomically contoured insole for support and enhanced with massage beads to pamper feet with every step.